Sterling Silver Tree Agate and Moonstone Necklace. See Closeup. 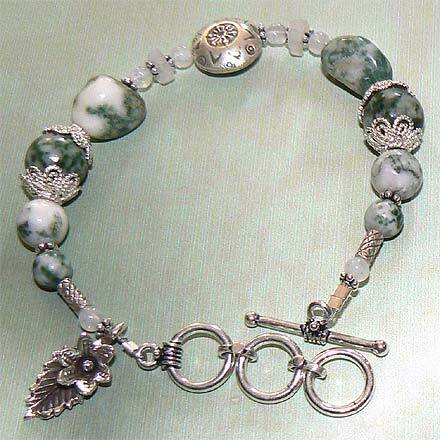 Sterling Silver Tree Agate and Moonstone Bracelet. 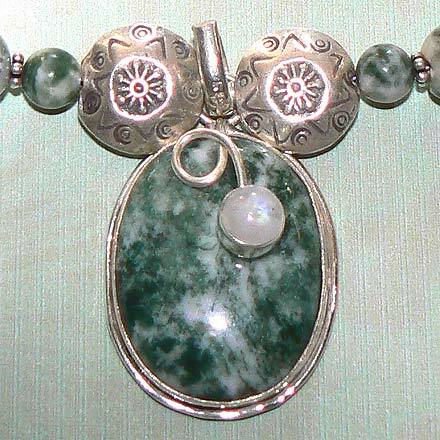 A gorgeous combination of stone and silver beads, with lacey, delicate white silver beadcaps. The three-ring clasp makes the bracelet variable in length. 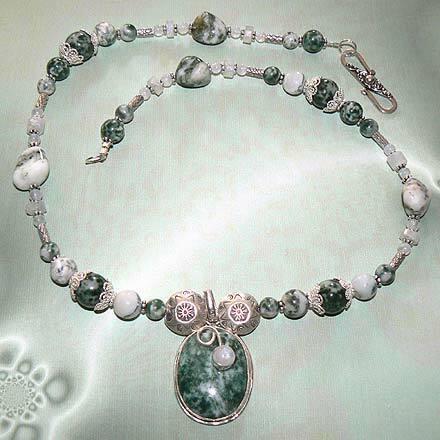 For those who are interested in Astrological significances of stones, Agate corresponds with Capricorn and Gemini, and Moonstone corresponds with Cancer and the month of June.